Mike Hysa started in the restaurant business as a dishwasher but he quickly rose through the ranks, and in 2010 took over Big Apple Pizza in Kenilworth. Big Apple Pizza was successful enough that Mike began looking to open a second location, and quickly decided upon Cranford. The Kenilworth location had a number of customers from Cranford, and Mike also recognized the need to have a location that offers more foot traffic. Downtown Cranford was a perfect fit with its booming restaurant scene, close proximity to the train station, and a number of retail shops bringing in customers from across the area. Mike wants new customers to know that Big Apple Pizza offers more than just regular pizza pies. The restaurant offers a number of gourmet pizzas and pan pizzas, including Mike’s Pan Pie (topped with breaded chicken breast), Vodka (mozzarella cheese and vodka sauce), Buffalo Chicken, and Broccoli Rabe. The restaurant also has a full menu of lunch and dinner options, including salads, sandwiches, wraps, pasta, and entrees. Big Apple Pizza is open 7 days a week and offers customers the ability to place orders online. Though the new location has only been open for a few weeks it’s already bustling with people stopping in during lunch and dinner time. The enthusiasm from local residents was one of the reasons Mike was so excited to open a location in Cranford. 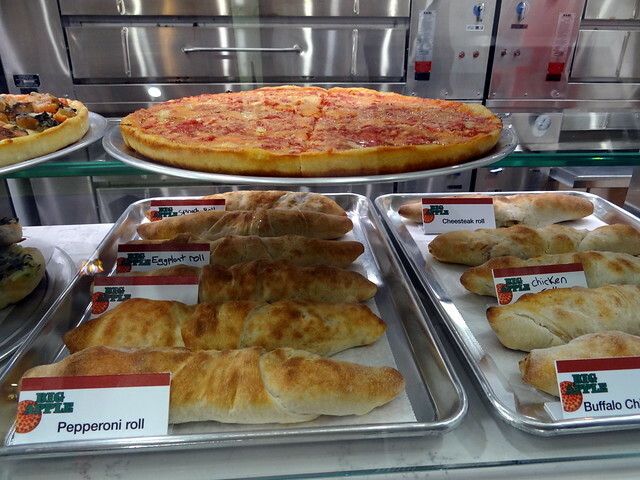 Pizza, sandwiches, pasta, Italian dishes – there are enough choices on Big Apple Pizza’s menu to appeal to everyone in your family.